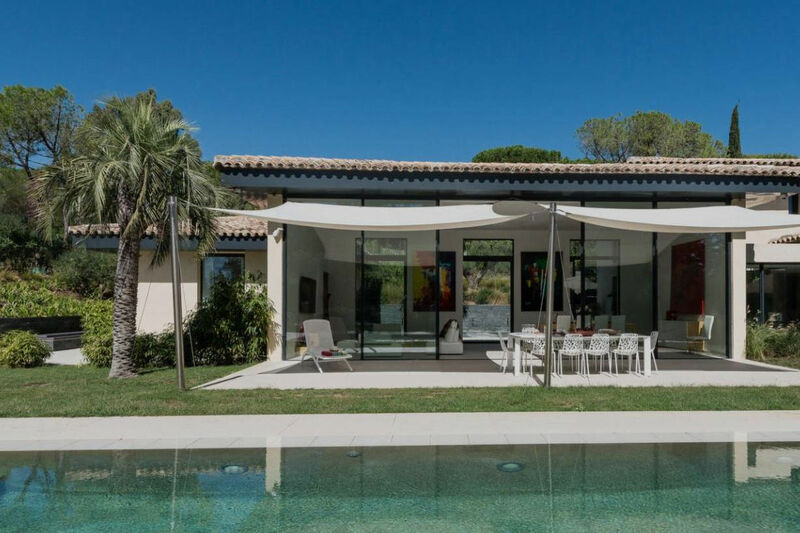 Exceptional situation for this modern style recent villa: only a few minutes walking distance to the famous beaches of Pampelonne ( Nikki beach; Palm Beach,..) The villa was built with quality materials in this very sought area. The villa counts 350 sqm, on a plot of 3900 m², with 6 bedrooms. 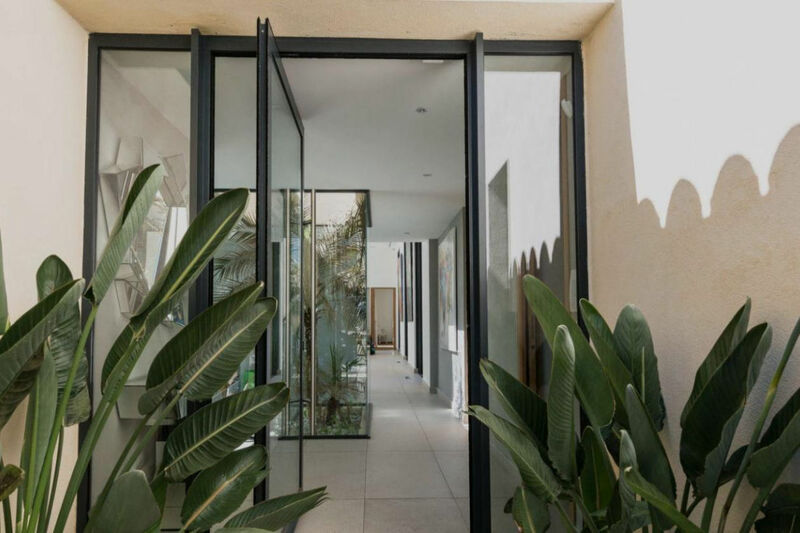 Composition of the villa: Main entrance, spacious living room opening on one side to the garden and pool (mirror), and on the other side onto a patio with fountain; Corridor with conservatory leading to the fully equipped kitchen. On the groundfloor, you find 4 bedrooms with bath or showerroom, including a master bedroom, with direct access to the pool and garden. Upstairs: 2 bedrooms with shower room. 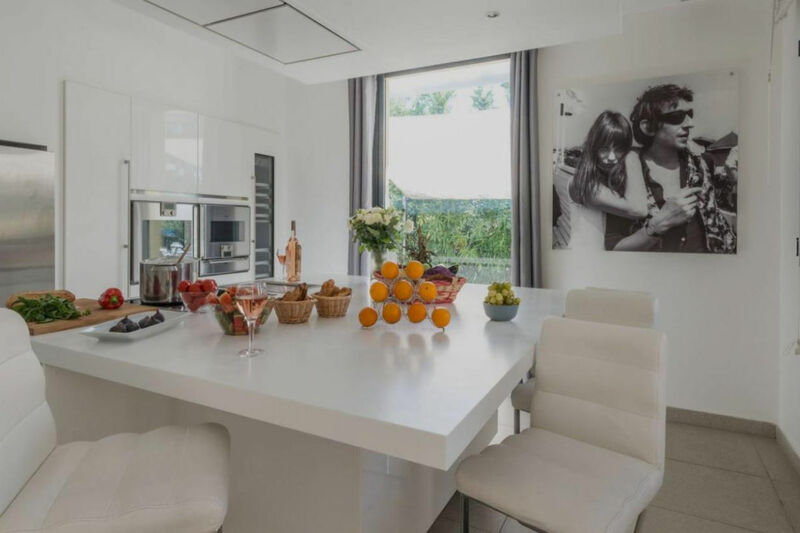 Electric gates, alarm, magic exterior lightning system, mirror 14.5m by 4m heated pool, Bose sound system throughout the villa and garden, SONOS server. The villa is fully air conditioned (Daikin system). 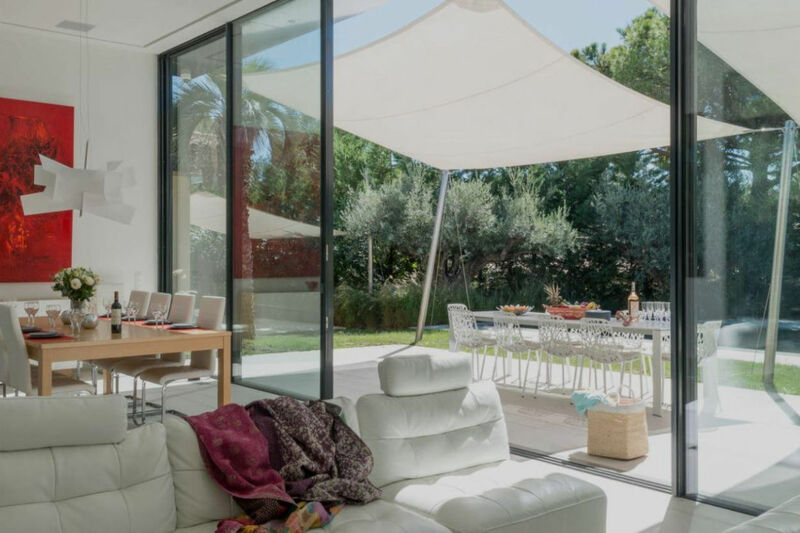 The garden and the villa were designed by renowned architects. An opportunity to visit soonest!